Partnering with publishers and advertisers to deliver effective advertising so Kiwis can enjoy the world’s best content online. Partnership. It’s what we do. We partner with publishers to sell digital advertising, by combining their beloved brands and our market expertise to deliver profitable growth and strengthen Kiwis’ access to the world’s best content. Our stable of premium international publishers, backed by a deep understanding of consumer behaviour and smarter use of data, offers a winning combination of high viewability, brand-safe environments, at scale. We enable brands to reach the right person in the right place at the right time, across multiple devices. the New Zealand digital audience of premium international publishers, including MSN NZ, Outlook.com, MTV, Comedy Central, Nickelodeon and Nick Jr.
Mi9 allows you to purchase digital inventory and run your campaigns via our team of experienced account managers and account coordinators or programmatically via your trading desk using deals we set up for you. 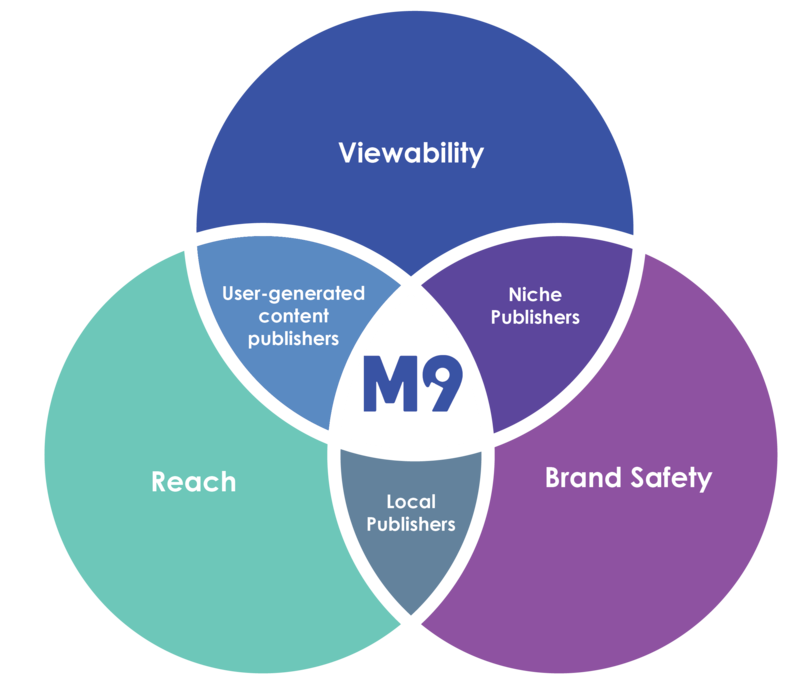 Mi9 has access to 2.02m unique visitors. 1hr 47m of exposure per person per month. 111.3m page views per month. Rhys joined Mi9 NZ for the second time in June 2016, having previously worked as head of business development. He has worked at both Yahoo! and Yellow in business development, digital strategy and product management leadership roles. Before moving to New Zealand in 2011, Rhys held senior product management and general management positions at Mi9 parent Nine Digital in Sydney, including leading its Mobile and HWW business units, and worked in London and Melbourne prior to that. Passionate about digital, Rhys contributes to the development of a competitive local industry as Chair of the Interactive Advertising Bureau New Zealand (IABNZ) Board and Chair of its Mobile Advertising Council from February 2017 to September 2018. Rhys holds a Bachelor of Commerce degree from Deakin University, Australia and is a Member of the Chartered Institute of Marketing. When he gets time Rhys enjoys reading ancient, early medieval and military history, loves running and boot camp, and lives on Auckland's North Shore with his wife and two boys. Max Freemynd has been the Sales Director of Mi9 NZ since November 2017. Max has extensive media experience gathered from his previous roles in traditional and digital media on both the publisher and sales sides, including NZME, ARN (Australia) and Gameloft (in-app digital advertising). He also ran his own business as an independent media consultant (buy-side) managing up to $10 million in media spend across digital, radio, billboard and print. Max has a Bachelor of Business from AUT, majoring in Marketing and Advertising. Outside work, Max is an avid student of psychology, sociology and cognitive behavioural modalities. Any free time gets spent with his three year old son. Max has a lifetime goal of learning a new skill every year. Kate is the newest member of the Mi9 NZ team. She brings a wealth of skills from her previous roles in account management. Her main professional drive is to create a great customer experience for her clients by helping them to reach their specific goals. With a varied background, Kate originally taught intermediate aged students in Auckland before moving into the corporate world. Outside of the office, she is a keen foodie with an adventurous streak, always choosing the path less travelled. Maria started her journey with Mi9 NZ seven months ago as an Account Coordinator, progressing into the role of Account Manager in September 2018. Prior to Mi9, Maria worked for First Screen, where she got her start in the mobile and digital advertising industry in 2017. Maria’s academic background includes a Bachelor of Arts majoring in Media, Film and Television from the University of Auckland and the FutureYou digital course run by Michael Te Young. In her spare time Maria enjoys spending time with her friends brunching at cool Auckland locations. Tasmiah joined Mi9 NZ as an Account Coordinator in February 2018. She comes from a predominantly science-oriented background, with most of her experience being research-based and related to geochemistry. It wasn’t until late 2017 that she was first introduced to digital advertising through the FutureYou course. Tasmiah has a Master of Science from the University of Auckland, specialising in Earth Science. Outside work, Tasmiah sleeps, reads fantasy (though she’s trying to venture into other genres), and watches any movies that seem like they might be interesting.